You know that thing when you’re in Walmart at noon before you discover you haven’t brushed your teeth? Sarah Parshall Perry gets that. She also gets weird things showing up in her bed, her daughter asking for war paint, and her son crawling into a giant blue sock on Christmas morning. Mainly, she gets that conflicted feeling of finding her kids hanging out in the dogs’ cages and happily realizing they have stopped getting into trouble for a minute. According to Perry, “The hardest stuff is the quickest way to God,” and readers get to watch the systematic destruction of her carefully planned life, laughing at her missteps, aching at her tragedies, and recognizing themselves along the way. A mother of three children, two of whom are on the autism spectrum, she has experienced plenty of ups and downs, but from the chaos of her “ordinary” life she pulls the universal truths of motherhood, addressing them with humor, poignancy, and a naked honesty that will make the reader think, That sounds a lot like my crazy life. Perry helps mothers realize they aren’t alone, even if they’ve fallen off the straight and narrow of their intended path and are instead lying in the ditch next to it. Life’s a mess. But as Perry reminds us, it’s all for a purpose. 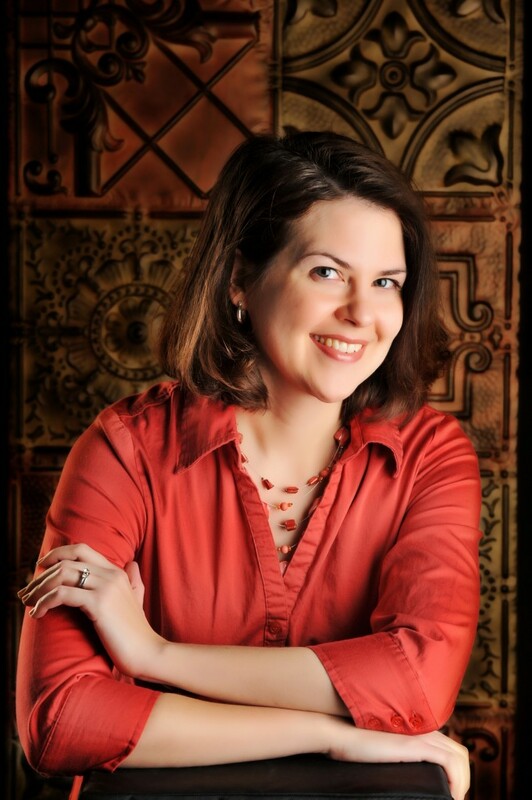 Sarah Parshall Perry (JD, University of Virginia School of Law) is a wife and mother of three young children. She is the coauthor of When the Fairy Dust Settles (with her mother, Janet Parshall) and the author of numerous magazine articles, award-winning short stories, and poetry. Sarah has served in youth ministry for over ten years and is currently writing for http://www.ChosenFamilies.org where she encourages other families living with disabilities. She lives in Baltimore, Maryland, where she spends most of her days fighting for time in front of the computer. Learn more at http://www.sarahparshallperry.com. 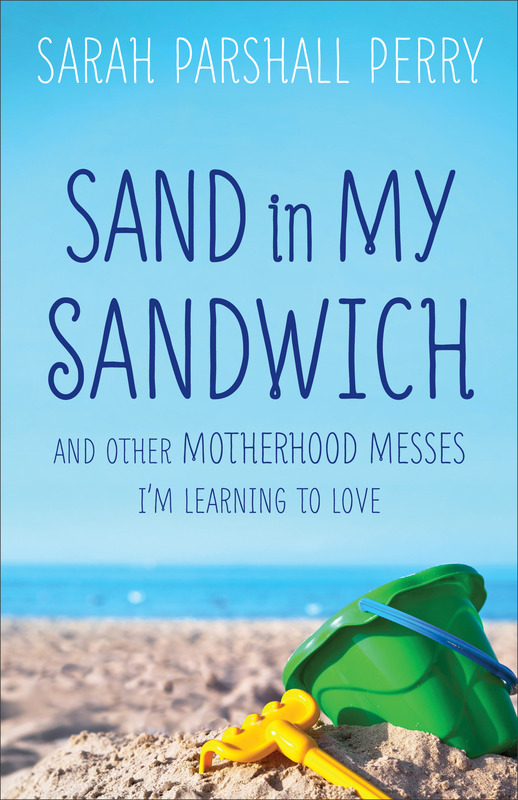 If you are looking for a book that may help you with your everyday struggles, Sand in My Sandwich would be an awesome choice. With a lot of added humor, Sarah Parshall Perry gives readers an insight of her life on a daily basis. You will find yourself laughing and crying with Ms. Perry as she describes the happenings in their family. All moms should read this book, because after they do, they will realize that they are not alone in the struggles of raising a family. And I had to laugh as she talks about her husband’s not so helpful rolls at night, with his deep sleeping and turning off his hearing, all so very true in real life. Take a break and give yourself of fun entertainment in Ms. Perry’s new book. And I’m sure you will find similar situations in your own life in this book as well. losing both her father and the boy who’s stealing her heart to illnesses as well. Armed with her beloved Scriptures, she prays daily for their healing, only to have her tender faith shattered by her father’s death. What an amazing story, and I love the setting being in the 1930’s! Ruby was a special young lady, always willing to help those in need. Ruby’s life of heartache and disappointments in life leaves her with a passion and love for people, even so far as leaving out her own needs to help others. I love the feisty and determined spirit Ruby has in this book, and I appreciate the author sharing the faith that was so strong and evident in Ruby’s life. This is my first book by Jennifer H. Westall, and one I thoroughly enjoyed! The characters were well created and developed so well as the story unfolds. I found myself wrapped up in the middle of the characters several times as I was reading. 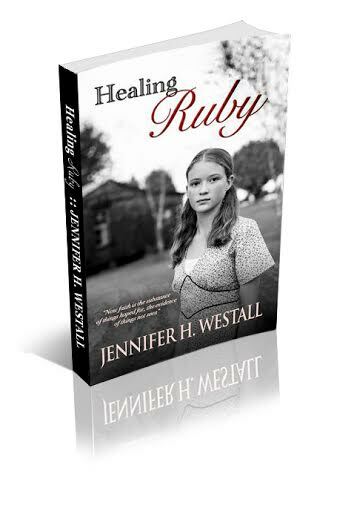 Healing Ruby will have you sitting on edge because you want to finish the book to see what happens! Since I don’t like giving away a lot of the book, I’ll not go into details about it, but I will say that it is full of twists and turns that make the story fun and interesting. I am really looking forward to more books for this author! I want to encourage you to pick up your copy of Healing Ruby for many hours of enjoyment and fun entertainment! I received this book from PUYB to read and review. I was not required to write a positive review. The opinions I have expressed are my own. I am disclosing this in accordance with the Federal Trade Commission’s 16 CFR, Part 55. This is the most amazing book! 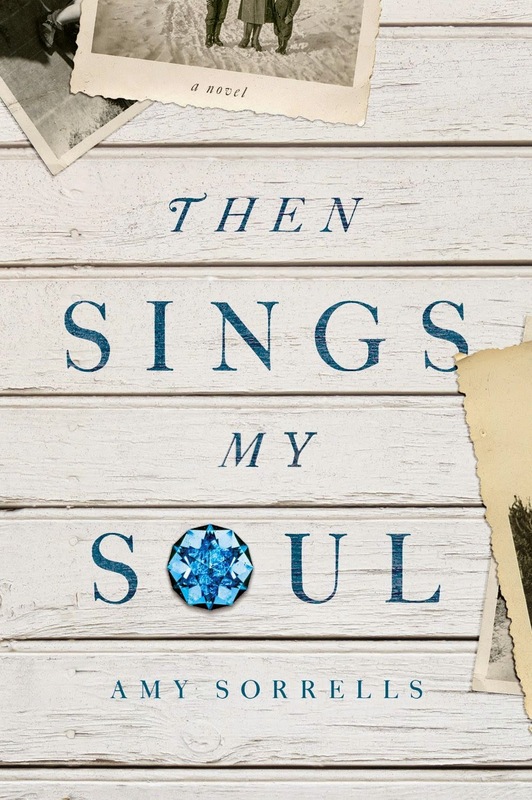 I haven’t read any Biblical fiction during the times of Mary, Martha and Lazarus when Jesus was on this earth, and I have to say this was really, really awesome writing from author Stephanie Landsem. Now I want to read The Well, having already read The Thief! Reading this story brought to life this time in Biblical history for me, and it was amazing! I found myself not putting this book down unless I absolutely had to! I liked that Ms. Landsem writes the characters lives so realistic that I felt I knew these people in real life, not just from reading about them in the Bible. I laughed with them, and I cried with them, especially after the death of Lazarus! And I loved that it was made so clear in the story that Jesus does things in His timing, not ours. When we think He is too late with a situation in our lives, in reality, He is always exactly on time. If you enjoy historical and Biblical fiction, you will love this one!! But years of wandering bring the couple to Egypt where once again Abraham convinces Sarah that as sister and brother surely they will pass safely through the territory. But Pharaoh takes Sarah into his harem where she befriends Pharaoh’s daughter, Hagar. Together the three are ordered to leave. Years of barrenness have embittered Sarah and she hatches a plan: Hagar must become the vessel for the child God has promised. Ishmael is born to Hagar and so is jealousy born in Sarah’s heart. But God had a plan and He was right all along. This miracle unfolds with Historical authenticity leaving the reader with a better understanding of the ancient world and the life-changing faith of Abraham and Sarah. I enjoy Biblical fiction because it brings to life the lives of those we read about in the Bible. The stories are not true, as far as what exactly happened in their lives, but the Bible facts are accurate. And this is why I love the stories. I was very interesting reading Roberta Kells Dorr’s take on how she thinks may Abraham and Sarah lived during this time in their lives. The story was enjoyable and entertaining, as well as full of historical facts and Bible facts about these characters. 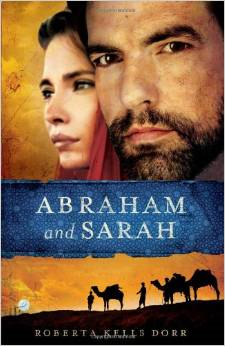 I now see Abraham and his wife Sarah’s life a little different after reading this book! I received this book from River North to read and review. I was not required to write a positive review. The opinions I have expressed are my own. I am disclosing this in accordance with the Federal Trade Commission’s 16 CFR, Part 55. I love, love this book! The story is so heartwarming, because of Leona and her failed engagement to Edmund, and her attraction to Zach. Edmund is such a jerk! He just wants his way, not considering how Leona or anyone else feels. Zach, on the other hand, was completely different, having Leona’s best interest at heart. There are a few surprises that adds unexpected twist to the story, keeping your interest until the end. I love these characters there in Palm Grove, and I look forward to reading more about this wonderful community and its people. And I have to mention Effie. She is a sweetheart at 12 years old with her disability. She gives the story a wonderful warm feeling! I highly recommend The Promise of Palm Grove to anyone who enjoys a good, clean, entertaining story! Since selling my first book, I have also become an acquisitions editor for the company. 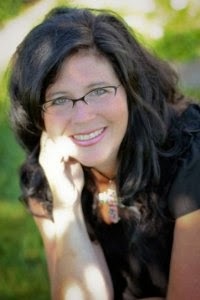 I am a member of the Inkwell Inspirations blog, HEWN Marketing, ACFW, and a contributor to Christian Review of Books. I hold publishing credits in poetry and songwriting, and I was the writer and featured teacher in a nationally distributed instructional dance video for children. I have written several songs about the plight of the Islamic people, which have been produced in association with the Christian Broadcast Network. In addition, I have taught college and high school classes in writing and literature, as well as homeschool classes in the fine arts, and now enjoy teaching at writers conferences throughout the nation. 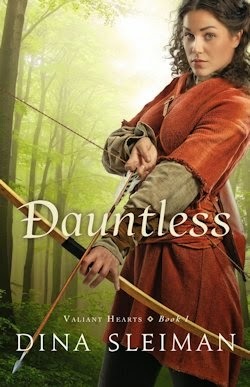 If you would like to read the first chapter of Dauntless, go HERE. This was a new author for me, and I really, really loved this book! The characters were just awesome, well developed, and made me want to join in the story with them! 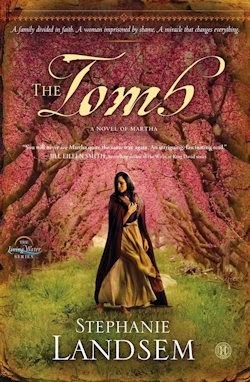 If you enjoy historical fiction, you will love this! As women, we tend to think that if we could only get our act together, life would be perfect. But you’re not supposed to be perfect. You’re supposed to be human. And humans are messy, flawed, glorious, and deeply loved. It’s time to lay down those unrealistic expectations that exhaust you. It’s time to embrace who you are–even the messy parts. It’s time to start living fully instead of just trying not to fail. How would your life be different if you truly believed you’re loved just as you are? Bestselling author Holley Gerth shares how God wants to set our hearts free by revealing the lies we believe as well as the scandalous grace and acceptance offered to us instead. She helps us lay down our unrealistic expectations so we can embrace who God created us to be, pursue his purpose for our lives, and offer others the love we’ve been freely given. 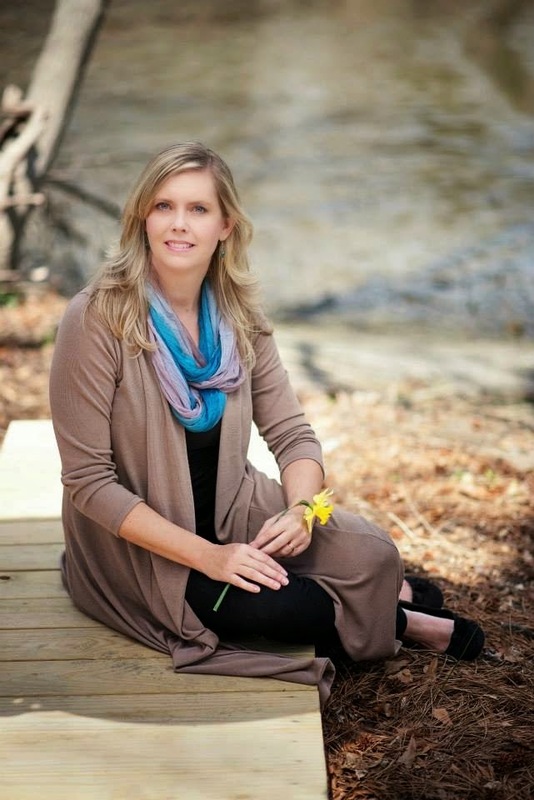 Holley Gerth is a bestselling writer, certified life coach, and speaker. She loves connecting with the hearts of women through her popular blog and books like You’re Already Amazing, You’re Made for a God-Sized Dream, You’re Going to Be Okay, and more. 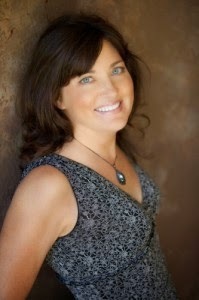 She’s also cofounder of the popular website (in)courage and a partner with DaySpring. Learn more at http://www.holleygerth.com. This is a book I wish every young girl would read, because they suffer with so much peer pressure at that age, it sends their self esteem to rock bottom. 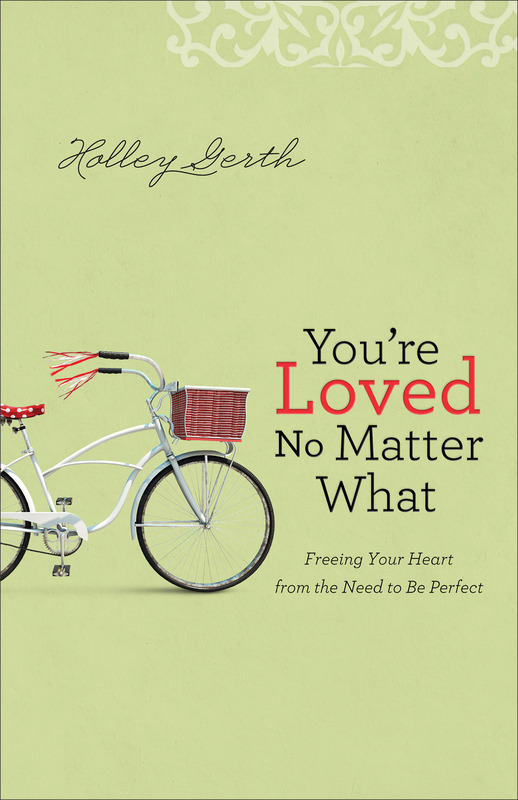 I love and appreciate that Holly Gerth wrote a book such as this one to teach readers that we are loved, God loves us and has a special plan for our lives. No matter what anyone says or does. And I know we hear these things over and over all of the time, but we don’t hear them like Holly Gerth says them! And that is the difference in this book. Ms. Gerth has a way of giving readers the truth, point blank, and telling it in a way that anyone can understand, and want to read more and more. If you are one of these people who need encouragement, or if you know someone who does, I highly recommend this book for you! This has been an absolutely enjoyable series to read, and Rachel Hauck is an amazingly talented writer! I love how she brings you into the story, giving me the feeling I was there with the characters. As I read the book, I felt as though the characters were real, as I thought about them day and night! Corina was hoping to find her prince charming for the second time, but with all of the issues going on, and with Corina still dealing with the death of her brother, there was just no way. But was there? This is truly a story of redemption and love, and the twists and turns in the story kept me turning the pages pretty fast! The setting, the characters, the different scenes throughout the story as I read, they all came together to a wonderful ending. I highly recommend How to Catch a Prince, and the other books in Rachel Hauck’s Royal Wedding Series. Dr. Juliet Ryan has devoted her considerable scientific acumen to corporate America, providing safe drinking water for millions–and affording her plenty of perks along the way. It’s not the path her estranged father would have her take, but then Juliet finds it difficult to maintain respect for a man she cannot trust. She’s on her way up in the world, and she’s not going to let anything drag her down. But when a fast-moving disaster sweeps Juliet into a whirlpool of corporate scandal, lives are at risk–including those of some of the people closest to her. As she scrambles to find answers, Juliet must face her deepest wounds and join forces with the one who has hurt her most in order to expose a far-reaching conspiracy. But Ben Croftner does not take rejection lightly—and a single woman with a sick father makes an easy target. When Sarah is abducted by her treacherous fiancé, Rand finally comes to her aid . . . only to reveal that he has been posted at Fort Laramie, Wyoming, and intends to take her there as his wife. But could Sarah leave her dying father’s side for the love of her life? And what plans are forming in the jealous heart of Ben Croftner? Washbash, Indiana in 1865 was an interesting and entertaining setting for this novella. But Sara Montgomery didnt have a pleasant time because of losing her mom early in her life. And since her father is not in very good health, Sara had to start raising her younger brother. But Sara’s life turns to shambles when her ex arrives in town just as she is going to marry Ben. But wasn’t her ex suppose to be dead? What a twisted tale! And an wonderful one, because it is just another awesome Colleen Coble story. Ms. Coble is one of my very favorite authors and I love all of her books, and love this one! If you are looking for a short, fun and entertaining read, you will love this one! It’s The Berenstain Bears’ Country Cookbook! Bear lovers everywhere are sure to find favorite recipes for fun food in this new kid-friendly, cookbook—ranging from Bear favorites that use honey and berries to delicious main meals and breakfasts, and even Berenstain favorites like Jan Berenstain’s famous Green Lasagna. Love, Love this cute and adorable little cookbook. Your children can help you cook many of the 40 wonderful recipes in this 96 page cookbook from our favorite Berenstain Bears characters. I love and appreciate that Mike Berenstain continues to bring children so many wonderful books to read. And the idea of a cookbook is amazing! It will be fun and entertaining to see what these bears have for you and your child to make in your kitchen. I just bet you will sure find some recipes with honey. What do you think? I really want to encourage you to pick up a copy of this precious Berenstain Bears Cookbook. 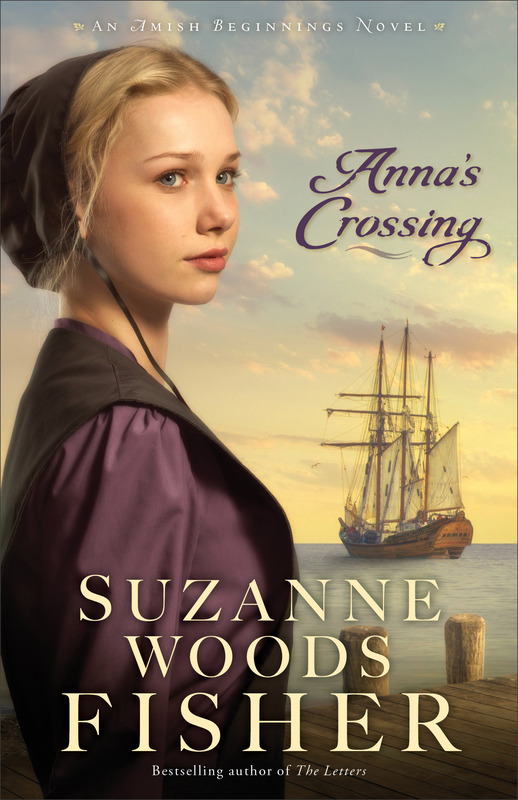 Bestselling author Suzanne Woods Fisher invites you back to the beginning of Amish life in America with this fascinating glimpse into the first ocean crossing–and the lives of two intrepid people who braved it. This was a very different kind of Amish book to read, and one I so much enjoyed, and am very happy I was able to read and review! Anna and her family were relocating to America, and the story holds many emotions throughout the entire trip. The living conditions on the ship were not the best, but as Amish, Anna’s people made the best of them. And even through some of the twists and turns, when it seemed like problems were bigger than anyone could handle, God showed his love through these Amish people, and it was very heartwarming. Some of the happenings were not so good, others were pretty amazing. All in all, this is a fantastic book for you to read. And if you are an Amish fiction buff, this book is a must for you! Richmond, Virginia, 1863. Compelled to atone for the sins of her slaveholding father, Union loyalist Sophie Kent risks everything to help end the war from within the Confederate capital and abolish slavery forever. But she can’t do it alone. Wow! What an amazing book, and an amazing series! It was just not easy for women to live during the Civil War times, and this book gives an excellent account of what it was like, through Sophie Kent’s story. If you are a Civil War buff, this book is a must! Especially for the ladies out there that like reading about books set in this era. 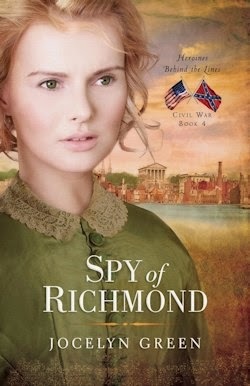 I highly recommend Spy of Richmond for your enjoyment! Litfuse presents Twisted Innocence by Terri Blackstock plus Nook Giveaway!! 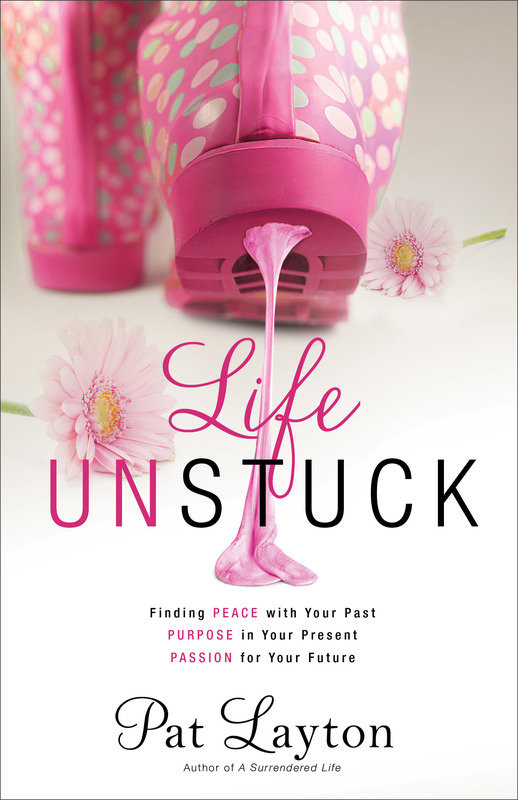 Terri Blackstock is just awesome, and her new book, Twisted Innocence just proves it! I loved this story. It starts out with Holly, trying to settle down and make a life for herself and her new baby. Then she finds out that the father of her baby is wanted for murder. The only thing she wants from her daughters father is for him to be as far away from the two of them as he can get. But taking the law into her own hands gets her and her baby kidnapped and on the run. Though this story will keep you the edge of your seats because of the intense suspense, it is also very heartwarming. A precious little baby can do that to a person. I have to admit, I was scared for Holly and her daughter, and then for all of the main characters because of the danger their lives were in. And when I thought I had it all figured out, another twist happened and the story took another drastic turn. Can this story have a pleasant ending, or will everyone involved end up dead? Find out when you read this latest thriller from Terri Blackstock! Celebrate the series’ final release by entering Terri’s Nook giveaway! Litfuse Presents Betting on Hope by Debra Clopton plus Kindle Giveaway! Maggie Hope is an advice columnist whose background leaves her with little advice to give . . . and it’s beginning to show. When Maggie fills in at an interview with champion horse trainer Tru Monahan, the on-camera chemistry between them is undeniable. Maggie’s bosses know this is the opportunity she’s been looking for to launch her career—and their bank accounts. In order to save her column, Maggie takes Tru up on the bet that he can teach her to ride a quick-stepping cutting horse like any cowgirl, despite the fact competition circuit for longer than he’d like, but he knows it’s the only way he can afford to keep the Four of Hearts Ranch that means so much to his ailing grandfather. So when his sponsors see the opportunity for Tru’s fans to get to know the star on a more intimate level, he knows he must oblige. 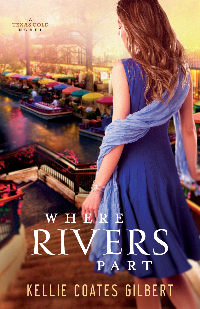 To his dismay, Maggie not only invades his small town of Wishing Springs, but she also invades his heart, and that is something he cannot let any woman do—for her own good. This is my first book by Debra Clopton and I just loved it!! It is a fun and interesting story. I love Maggie and her personality. And Tru is just an every woman’s man! The thing that makes the story so interesting is that both Maggie and Tru are so determined that they are only doing their job, no attractions flashing anywhere, just doing what they are getting paid to do. And it all seems to keep blowing up in their face. I bet that little question “you wanna bet” will never mean the same to these two again! This cowboy story will have you wanting to reach through the pages of the book and shaking these two young people! They are both so hard headed and Maggie is so blind she just doesn’t realize that she is with the heartthrob of America! I very much enjoyed the details of cowboys and their activities on the ranch, and how Tru taught city girl Maggie how to ride a horse, when she was so afraid of them. The entire story is just a winner for me. I can’t wait for more cowboy stories from this author! And I really want to encourage you to pick up a copy of Betting on Hope for your enjoyment.